What experience and insight from your previous roles in the diplomatic service and as Home Office Permanent Secretary do you find yourself using now as Cabinet Secretary? Two things. First, a sense of perspective. Mine is an unusual background for Cabinet Secretary, having spent much of my career overseas in security and international roles outside the Westminster and Whitehall world. That helps me retain a sense of balance and perspective on the really big issues, like the new global order, technological change, population and climate movements, as well as the inevitable preoccupations of Brexit and the domestic economy. Second is shouldering responsibility. I hadn’t worked in big hierarchies until quite late in my career. Operating overseas in quite small teams means that I’m used to taking decisions and shouldering responsibility, with more of a sense of personal impact. So I learnt some of those personal leadership qualities quite early on. I also bring the experience of running the Home Office. I’m not alone in this, of course. The Dean of Cabinet Secretaries, Robert Armstrong, came to the job having been Home Office Permanent Secretary, as did Richard Wilson. And that department is a microcosm of some of the challenges of this job, facing some of the most pressing policy issues and reacting to events. You have retained the National Security Adviser role, while taking on the roles of Cabinet Secretary and Head of the Civil Service, and raised some eyebrows by doing so. How would you explain your role and responsibilities to a civil servant on the front line? I describe myself as the Cabinet Secretary, and then set out the shape of the job as I’m doing it. That shape has varied over time. I also have the roles of Head of the Civil Service and National Security Adviser. Some of my predecessors, like Gus O’Donnell, for example, were Cabinet Office Permanent Secretary as well as Cabinet Secretary and Head of the Service. Most were responsible for national security. The formal role of National Security Adviser is a relatively recent innovation. The job developed during my time in it, balancing the traditional foreign policy and international affairs concerns with the defence and homeland security issues, operating alongside the Cabinet Secretary. The reason I’m doing it this way is to make a success of Brexit. It’s critically important that we bring together – Fusion, as we call it in the national security community – all our national capabilities, including economic, security, social and the rest, with a genuine sense of teamwork across and beyond government. While leadership is about identifying the big ideas, it’s also about building a great team. I am strengthening the team around me in the Cabinet secretariats, ensuring that they operate as a real team, rather than in specialist silos. What are your immediate and longer term priorities for the Civil Service? First, building on ‘A Brilliant Civil Service’, both as a programme and a brand. It gives us an important sense of direction. We need brilliant people, brilliant technology, brilliant systems. It’s a constant effort to upgrade those, and ensure people can fulfil their potential and have the tools they need. Second, in my first message to civil servants I spoke about impact and teamwork. We must stay focused on our impact on the lives of individual citizens and the prosperity and security of the country. And by teamwork I don’t just mean people working in teams within the Civil Service, but across the whole public service and beyond, building effective partnerships with the private and third sectors – and, of course, with the citizen. It’s this systems modernisation that I want to bring to this role, building on the effective modernisation and capability upgrading we saw under my predecessors, from commercial, digital and data capability, to the diversity and inclusion agenda, which we absolutely must see through. My task is to add that systems capability, that teamwork, across the whole public service and beyond. And that’s to help the government navigate the country through Brexit and, more importantly, in a way, to make a success of it. How do we remain unified as one Civil Service when there is so much uncertainty surrounding Brexit? Brexit is a massive national endeavour. It’s important that we see it as such. There will be civil servants who voted on both sides of the argument. But the Civil Service exists to serve this government – and future ones, because it will be an endeavour for many years to come – and make a success of it. It might be on a different scale from other issues, but we’ve done these big national projects before. Our predecessors, for example, supporting the Attlee government in 1945 in a huge national project of post-war reconstruction, and the creation of the National Health Service and the welfare state. Then, those working for the Thatcher government, re-orientating the economy and country for the modern era. We have to draw on our history and our timeless values, as well as applying ourselves to the needs of today. The most recent Ipsos Mori poll shows public trust in civil servants increasing, as it has over the last 30 years. Do you think that Brexit poses a threat to this trust? It’s very important that it isn’t, and that the public sees that the Civil Service is doing the job that they expect, supporting the government, and delivering their needs. I actually believe the bigger challenge for the whole of the public service was in maintaining that sense of connection with the public, and their confidence in us, in the period after the financial crash, when many citizens felt that the economic model pursued by successive governments wasn’t working for them. If people feel that the system isn’t working for them, then their confidence in the people who make that system run is inevitably challenged. It’s a great achievement that, despite all this, trust in the Civil Service has risen. My job is to make sure that we continue to connect with the public’s expectations and show them that we’re dealing with the issues that preoccupy them. And let’s not forget the majority of the 400,000 civil servants – and several million public servants – who are not dealing with the immediate consequences of Brexit but providing public services. It’s important that the individual citizen recognises we’re working on their behalf. You’ve referred in this interview and elsewhere to the function of the wider public sector and not just the Civil Service. Could you expand on the reasoning behind that? It’s really because of my emphasis on teamwork that we have to understand that civil servants are part of a wider community of public servants. When I was at the Home Office, I was conscious of the 300,000 public servants within what you might call the Home Office community: police officers, fire and rescue officers, Border Force personnel, immigration caseworkers, plus the people working outside public service but alongside it, such as large parts of the third sector. It was important not just to focus on the roughly 30,000 people working directly in the Home Office, but to recognise that they were part of a wider community of people with the same mission, to keep the citizen safe and the country secure. Where I sit now, of course, it’s a broader mission, about prosperity, security, social cohesion, and so on. There’s a practical importance in civil servants seeing themselves as part of that wider community. For example, in France, teachers are civil servants, here they’re not. In this country, Border Force officers are civil servants, in France they’re police officers. There’s no particular reason why it has to be one or the other. But they are all public servants. And if we want to achieve the results, we have to work in teams that include that whole public service. We also need to take advantage of the opportunities for collaboration we can actively create for the benefit of citizen and country. It’s a complex world now. We need to bring people together from different backgrounds and disciplines. As National Security Adviser, I brought the economic departments into the national security community, and tried to ensure that both not only understood each other’s priorities but could benefit from their expertise. The same has got to be true across the public service. You have already shown, when publicly defending the PM’s Europe Advisor Olly Robbins, that you’re willing to enter the fray on behalf of the Civil Service when it comes under attack. Do you see that as part of your role? Sometimes you have to be willing to take on the argument, and I think it was appropriate on that occasion. I calibrated that intervention quite carefully. I wanted to send a clear signal to those who were sniping away anonymously that this was not on, that there is a contract here: that we serve our fellow citizens, that they must be confident that we do so according to the values I spoke of earlier, and that we remain absolutely committed to those values. Getting recognition of the fact that we continue to prize a professional and impartial Civil Service that people can trust was – and is – essential. Even where issues of political controversy are concerned, as they were here, I believe it was the right thing to do. I may say that I had the strong support of the PM and Cabinet for what I said. How are you planning for the upcoming Spending Review, and what advice would you give to those in the Civil Service responsible for managing budgets? The Treasury are responsible for running the Spending Review. I see my role as identifying half a dozen or so big themes where I think I can add some value. The key point is that a spending review is both an opportunity and a moment of accountability. Colleagues have to be absolutely clear that they can show they are using public money to the maximum effectiveness and with maximum efficiency. It’s taxpayers’ money. They have an absolute right to expect that we use it well. The way I want to approach this – and this is part of the theme I’ve been talking about – is by looking at some of the big cross-cutting issues. One question is, how do we prioritise investing the preventative pound versus the responsive £10 or £100, particularly when the preventative pound tends to solve the problem tomorrow, not today? To use a criminal justice example, there’s not much point investing hugely in policing to reduce crime if the prosecutorial system, the courts, the prison and rehabilitation systems don’t have the capacity to absorb that and take people out of reoffending. You’ve got to have a balance. That’s what I’m trying to bring to the Spending Review. So I will look to ensure we have that balance across departments, in instances where opportunities or problems aren’t really owned by a single department but spread across several. What policy has inspired you most during your time in the Civil Service and why? Mental health is a great example. Let’s say someone is exhibiting a serious mental health crisis at the weekend on the streets. The primary duty of police officers, who are likely to be first responders, is to ask: “Is that person a danger to themselves or their fellow citizens?” They might feel they have no choice but to detain that person. A police cell is probably not the best environment for that individual, but it may be the only place of safety they can use. They can’t be expected to judge whether it’s safe, for example, to take the person back home, because they might self-harm or worse. But what if you can bring to bear the expertise of a mental health professional who has access to the individual’s records or might even know them? I’ve seen examples of this with street triage, where mental health professionals work alongside the police, and they’ve said, it’s OK, take them home, they’ll settle down, they aren’t going to self-harm. That’s better for the individual and less burden on the police. The question is, how do you take that model and bring it to an industrial scale, structuring and incentivising the police, social services, adult social care, the health service and so on, to make that the default way they operate. There is a great example in the Troubled Families programme that Dame Louise Casey advanced. Some places around the country have really nailed that, with impressive results. Those are the kind of things where we can have a really powerful effect – and again it’s about multidisciplinary teamwork, where you wrap a set of interventions around the citizen, rather than asking the citizen to navigate through the complexity of government. How can we ensure that the Civil Service meets the target in the Diversity and Inclusion Strategy of becoming the UK’s most inclusive employer by 2020? This is an area where we need a sense of both urgency and patience. It’s not something where you can say, with edicts from me, if we do the following three things everything will suddenly shift. Building a genuinely inclusive culture and a genuinely diverse workforce requires relentless commitment from everybody over many years. Of course, if there are opportunities to accelerate, to share best practice, we should do that. But we mustn’t think this is a simple challenge. I’d make one other point. When you talk to civil servants, this is the issue where you can feel the energy levels rise, that this is the kind of Civil Service that people who choose public service as their way of life actually want to be part of. So it’s not about shifting the behaviours and values of the mass of civil servants. The will to create a diverse and inclusive community is absolutely in the DNA of the sort of people we select and promote. But we have to have the right structures and systems to enable that behaviour, that set of values – we don’t have to enforce it, but enable it. If you could go back to when you entered the Civil Service and give yourself one piece of advice – or if you could give one piece of advice to someone just starting their Civil Service career – what would it be? I’ve genuinely never planned my career. My ambition wasn’t for particular positions, it was to be the person who set the standards in every job that I did. Then I’d look around to find what looked interesting, or fun: which country I would like to work in, and on what portfolio. I think it’s really important that you enjoy the journey, as well as focusing on the destination. Perhaps I was very lucky, but I’ve really enjoyed every job I’ve done. So my advice is: be passionate. Make sure you do the things you can be passionate about and you’ll make a difference. And – after all – that’s why you’re here. 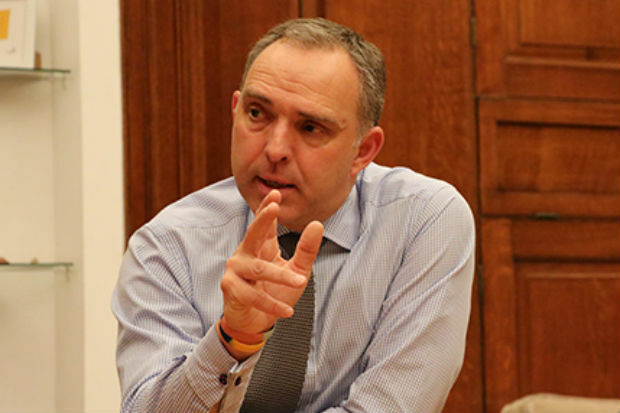 Sir Mark Sedwill has given clear ideas of Civil Service in Britain. It was a distant view when he said that Civil service should be the programme and the brand. But later he mentioned concrete measurements such as connection with the public, the necessity to take advantage of the opportunities for collaboration for the benefit of citizen and country, while being professional and impartial that people can trust. Spending public money to the maximum effectiveness and with the maximum efficiency as well as balance in the justice system were even more concrete measurements. But I appreciated the most what Sir Mark said of himself, that is, that he was to be the person who set the standards in every job that he did. His concluding advice was best of all: "be passionate. Make sure you do the thing you can be passionate about and you'll make a difference." I do believe in this idea. Thank you very much. A good read. So many important issues linked in here but what I see is somebody passionate about the Civil Service in a period where Public Sector workers are not appreciated. He is right about Brexit... no matter what your views are... In the end we must come together and make it work for the sake of the country ( whatever shape it takes). A good read. And I agree with what he says on perspective. I also agree with both previous posters on connetion with the general public and collaboration. And, Brexit - as public servants our duty is to support the present day government, regardless of our personal views. I believe we do have a Brilliant civil service - lets hope it continues. An interesting read, particularly around joining up the public and civil servants - a united goal seems to make sense. It’s good to see his points on balance and prevention, especially in relation to the spending review. Prisons and Probation resources, culture and programmes take years of training to build resource and capabilities. When investing in tackling crime we need a whole system approach . Excellent interview, loved his words of advice and his views on mental health. The will to create a diverse and inclusive community is absolutely in the DNA of the sort of people we select and promote. But we have to have the right structures and systems to enable that behaviour, that set of values – we don’t have to enforce it, but enable it. You have given a very clear picture of who you are and what you do. Thank you for that. You ended with the advice; be passionate. I have always strived to be the best I can be, that is how I started and still believe that I do this. I would have loved to travel to other countries, and seeing other cultures, but I guess I wasn't confident enough. That is something we should advise our young people to be, someone starting out. Be confident and if it doesn't work out at least you will have tried. I wish I had. 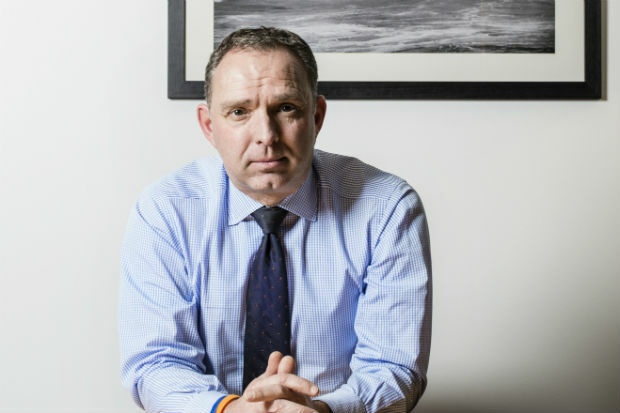 Sir Mark Sedwill, you have shown a very important but clear side to the Civil Service. It was extremely valuable information when he said that the Civil Service should engage with the public and involve them within the programme&brand. by doing this collaboration it will more then definitely help those individuals involved& more than likely the whole entire country. This can only happen when members show us citizens the maturity, professionalism, hard working attitude that will prove they're trust worthy. He made such a clear imagine of who you are& what you do within the Civil Service. It is highly important that they spend the publics money on resources, equipment etc. that will give our country the maximum benefit as well as efficiently finding balance within the justice system. He shows that when you set your own standards the best of your ability it makes you more passionate meaning better results within your line of work. I couldn't agree more when he mentioned Brexit& that no matter what anyone's opinion or views are we all have to come together for the sake of the country. even though we must support the present day government! A united goal seems to make sense, I believe we are lucky and that we have a great Civil Service, lets hope all continues to be positive. I really enjoyed this article, noting in particular the benefit of cross department working brings to the broader civil service and the Nation as a whole. 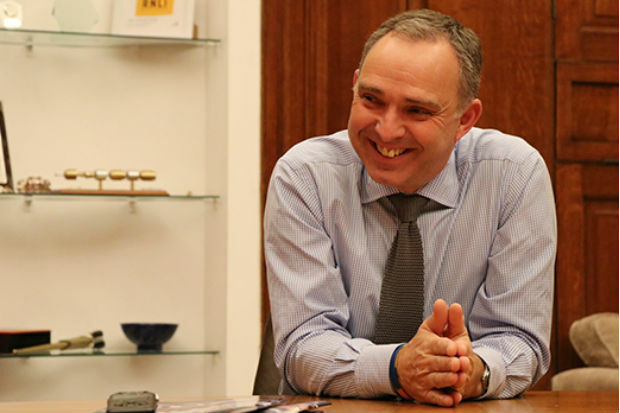 Being fortunate enough to work in a number of HMG departments, including the purview of Sir Mark, it is absolutely clear there is wealth of talent in the civil service which is often not recognized. Most of all, his final comments should be heeded by all; work in an area you enjoy and everything else will fall into place. There are fantastic opportunities abound all around the country where a difference can be made - we live quite clearly in exciting times and it is not all about Brexit.